SetCronJob is now supported new feature: Last day of the month. 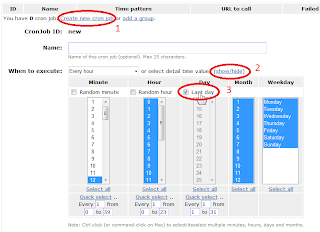 With this feature, your cronjob will be executed on last days of the month, e.g. day 29 of February, day 31 of March, day 30 of April, etc. This is great for setting up cronjob that need to be executed last day of each month, to make monthly report, summary, send monthly newsletter, etc. - Click "Create new cronjob" or Edit your current cronjob. 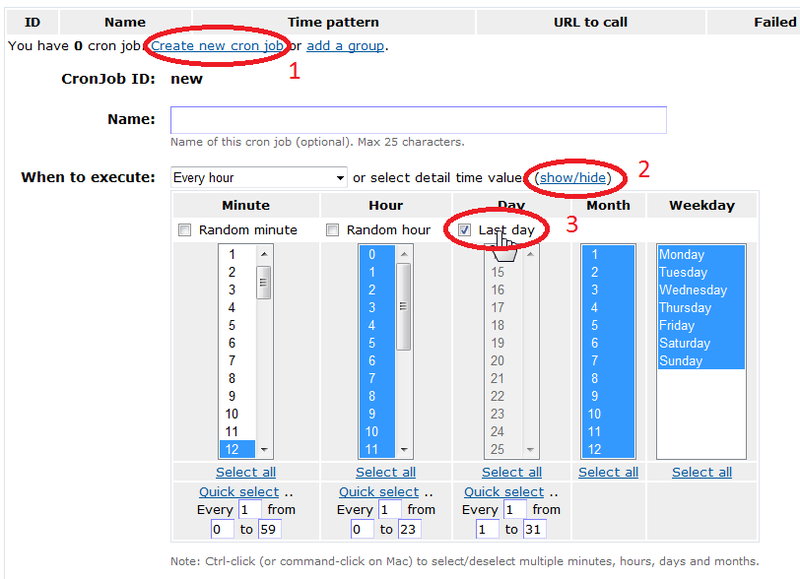 - Click show/hide to expand the detail time setting. - Check Last day on Day column. After created or changed, your cronjob will show something like 12 16  * *, with  means last day of the month (day 29 of February).